When you enter Murphy Browns, straight away you can’t help but notice the artwork we have exhibited on our walls. We are passionate about helping local artists promote their work. All the artwork that we have on display can be purchased and taken home the very same day. We want to keep the decor fresh and up-to-date, so we change the artwork when possible. Terry Bradley was born in Belfast in 1965. His early life was spent growing up just off the notorious Shankill Road where his mother tried to keep him inside and away from the “Troubles” outside their front door. Bradley found a form of escapism reading Herge’s Adventures of Tin Tin and his work is still influenced by the black lines of the vivid drawings that illustrated the collection of books that he gradually acquired. He also spent hours in the attic room of his house listening to the then new pirate radio station Radio Luxembourg and imagined his travels and the exotic world beyond the realities of Belfast in the 1970’s. From an early age Bradley discovered that drawing calmed his nerves and that he could loose himself in the complexities of observing people and then recreating them on paper. Bradley however knew that this was not for him and with absolutely no experience or history between them Terry and his two brothers set up and ran a factory of their own. They manufactured and exported full lead mouth blown crystal and set out to compete with the leading crystal manufacturers. With orders coming thick and fast the young Bradley’s were doing extremely well until a combination of cash flow and high rent and wages meant the company closed it’s doors after four years. Terry then turned to his interest in art and fashion. Always having an eye for the aesthetic Terry opened his own clothes shop in the trendy university area of the city. Called “Retro” the shop was soon a leader in fashion for the clothes conscious of Belfast. Terry’s was the first shop to stock Red or Dead shoes and he had a regular Saturday DJ playing in the tiny outlet. He sold hand painted jeans and one off shirts and jackets that he imported from all over the world. 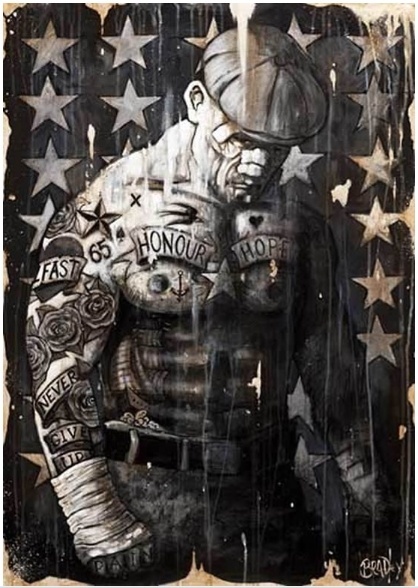 During the following years Terry has gradually become more comfortable with the title of “artist” and his work has gone from strength to strength.He now exhibits in Dublin, Belfast, London and Spain and is planning his first solo exhibition for the USA later this year. His natural aversion to the establishment has made it difficult for him to fit into a typical art gallery mould and he still likes to exhibit in the bars and clubs that he feels most at home in. He sells his work all around the world and his art has been used by Nokia for the cover of a limited edition mobile phone. Bradley has now reached a place in his life that he is comfortable with. He is able to paint full time and explore the voyeuristic side of his nature that he first discovered as a child observing the dangerous world around him His work mostly centres on strong women and ex models in Dublin and more recently Paris. His latest work is inspired by the era of the Belle Époque in France and the contrasts and similarities with the Burlesque dancers of New York. He has also recently started exploring the colourful characters from the Belfast dockland area know as Sailortown. At its heyday 100years ago the dock workers were famous around the world for their hard drinking and hard working attitude. Bradley finds that these paintings now balance the world of burlesque women that he paints. 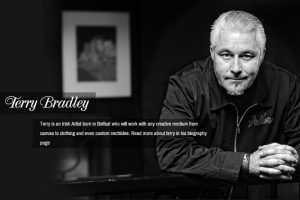 Bradley is married with three children and lives and works in Ireland. 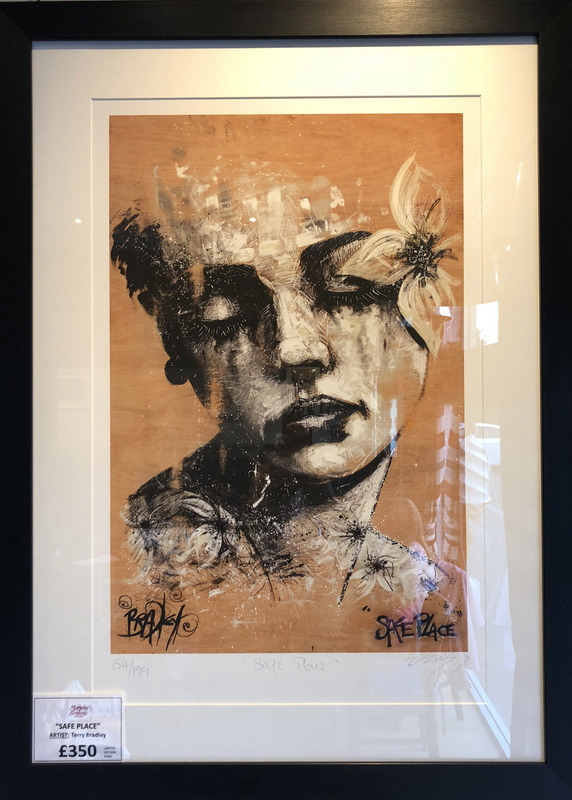 Keith Drury’s ‘When I Dream’ art series has become one of the top selling range of artworks for many of the UK’s largest city galleries with some series' sold out within a year. More recently Keith's artwork appeared in the TV series 'The Fall' with Gillian Anderson. 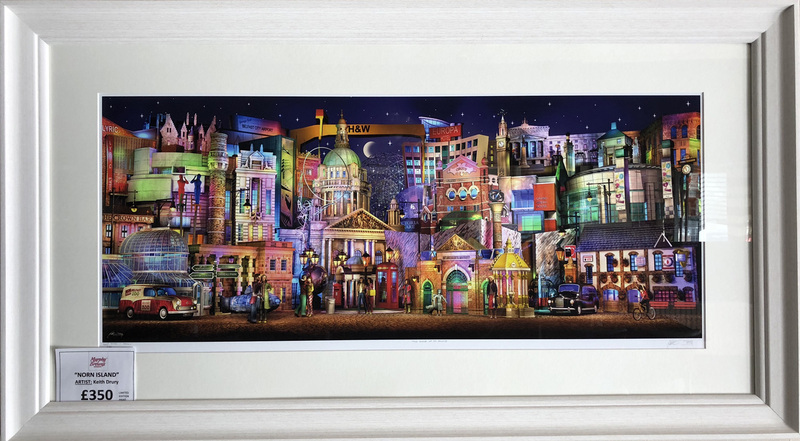 As an art style it is unquestionably quirky and contemporary in its interpretation of the urban landscape and yet it refuses to be compromised, each artwork being created with meticulous attention to detail. Months of exacting work go into each picture and so the artworks often yield surprises to those who are eagle eyed or use magnifying glasses! Each print is a top quality Giclée print on acid free paper - each one printed at the studio itself and not outsourced. Keith’s art has received a public national commission and is on permanent display to the public in Belfast City Hall. Commercially his art has found its way into every world continent, appeared in advertising campaigns, Jigsaws and luxury chocolate tins. His art has been used by the rich and famous but is created simply to be enjoyed and to be a talking point on anyone's wall. Perhaps we could summarise Keith’s art by amending Oscar Wilde’s famous expression ‘Art is too important to be taken seriously!’ Keith can not remember a time when he did not draw or make 'stuff' but his introduction into the more serious art world began when the owner of a prestigious gallery took Keith under his wing lending him works of international artists to take home and copy. On return the gallery owner would assess Keith's style and then test him with something completely different. Now Keith after years of trying new things and mediums has developed his own unique style. 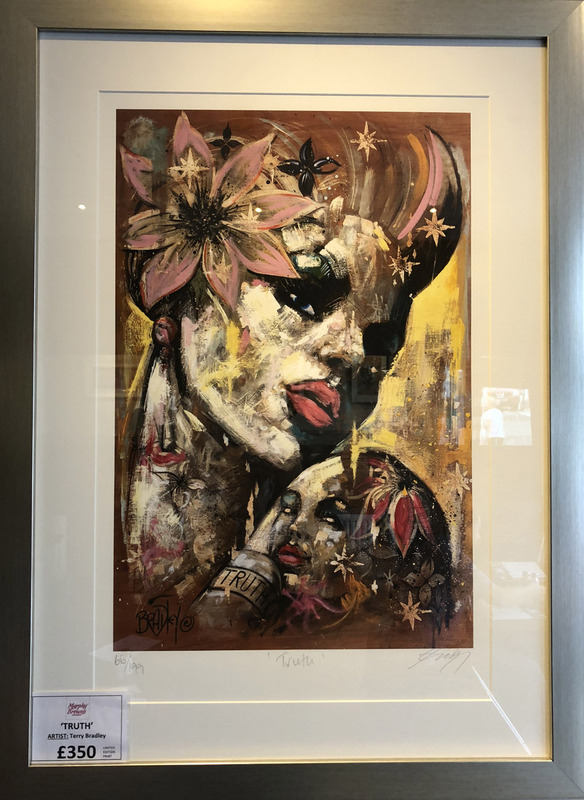 Keith has been approached by a number of the UK's largest art publishers but has resolved to remain completely independent as an artist although he has partnered with several art publishers where his independence has not been compromised. All of Keith's work is created at the Potting Shed Studio and Gallery - a converted and very unusual historic stone building with its own Palmhouse which in turn are set within a fully enclosed Victorian Walled garden. The Potting Shed Galley sits on 60 acres of parkland which forms part of the old Tobar Mhuire estate in Crossgar, Co. Down.